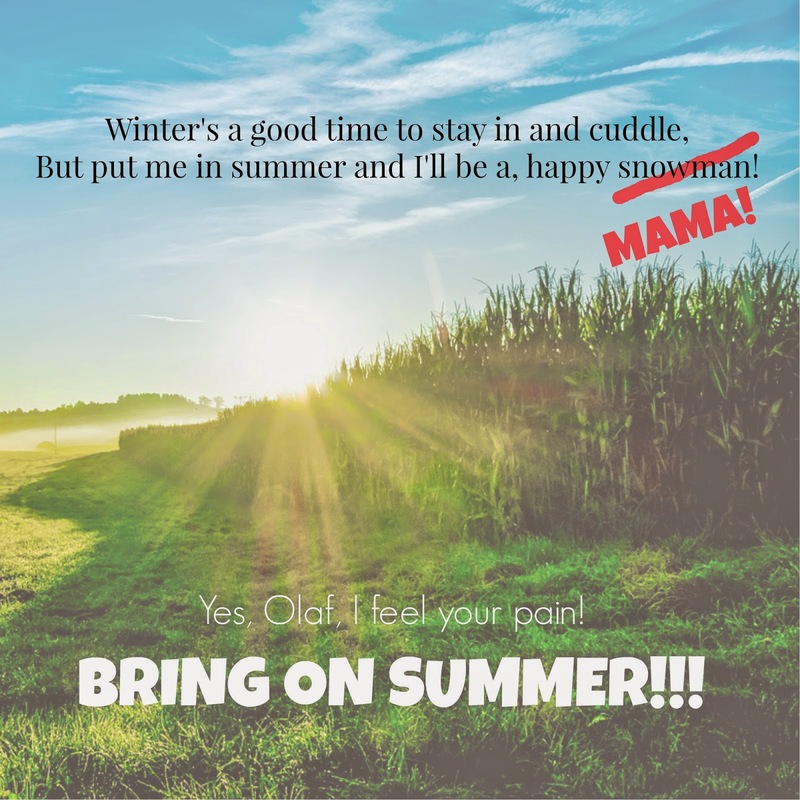 While I'm Waiting...: Friday Favorites - Olaf and I agree - we need SUMMER! Friday Favorites - Olaf and I agree - we need SUMMER! Everywhere you turn, I see places covered in snow. Everywhere but here! Seriously, this was at my parents house on Wednesday and they only live three hours away!!! My kids were begging me to take them there!!! And while it looks pretty - I'm SO over winter! It definitely is NOT my FAVORITE! :) I need flip flops on my feet and sun on my shoulders! Spring, please hurry up! But enough about the weather - thought I would share with you some of my random FAVORITES from this past week! Enjoy! Add this to your weekend plans! This movie will definitely become a FAVORITE! Disney has done it again with their "inspired by a true story" movie. We took our three kiddos - ages 4, almost 10, and 13 - to see it and everyone really enjoyed it! I know, I know - everyone's FAVORITE store is Target! I popped in to Target on Monday to make a return and ended up with a basket full of stuff we didn't need. :) But, it sure was fun! 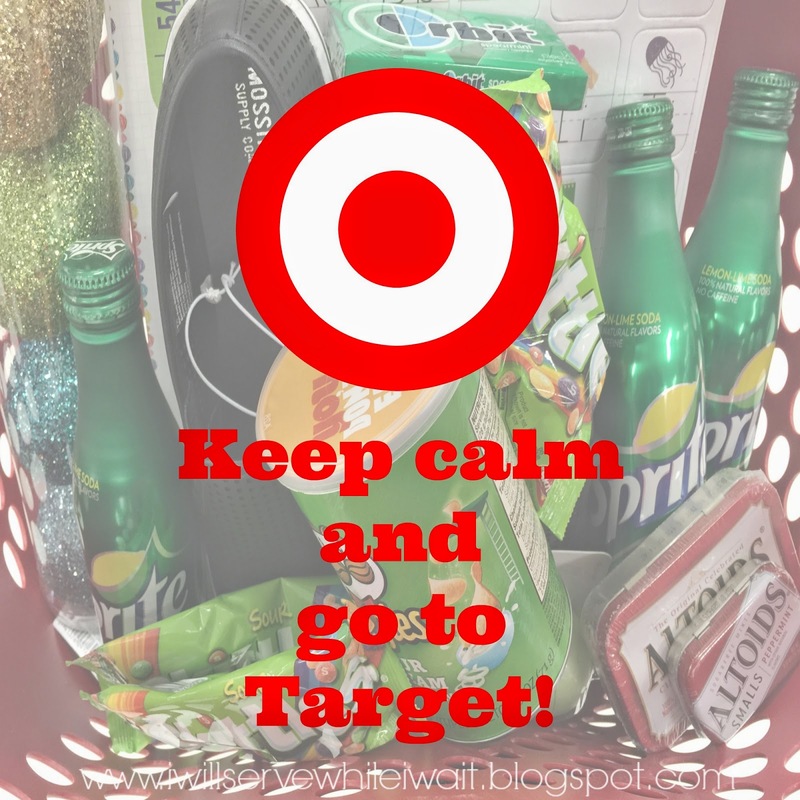 I posted some of my Target FAVS here. lots of fun St. Patrick's Day goodies! Catching up with friends is an all time FAVORITE! Wednesday night Shelly and I met for a late dinner and a couple of hours of catching up. This is definitely her busy season so getting some face time and being able to hear what's going on with her family and share what's going on with ours makes my heart happy! We took these pics recently at our church while attending a women's event. So fun! A place where you can link up what you are waiting on, going through, making, just about anything - as long as it's family-friendly! :) I would love to have you link up with me! 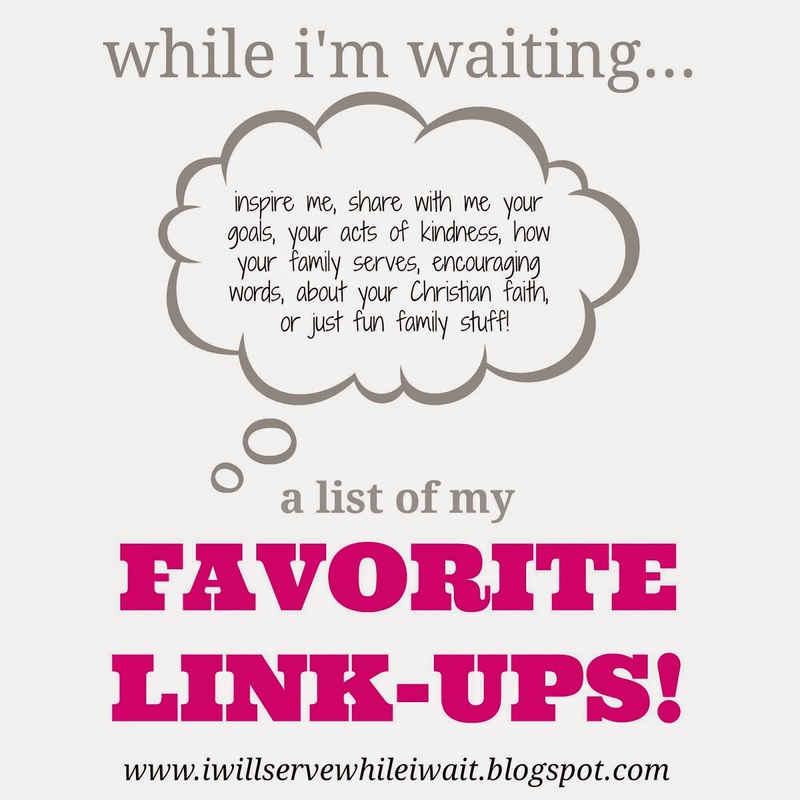 You can check out all my FAVORITE link-ups here. Whoo hoo!!! We have no where to be this weekend! Ok, ok, we have a couple of practices to attend but other than that - NOTHING! Free weekends where we can do anything that we want is my FAVORITE way to spend time with my family! I hope everyone is staying warm! Hopefully Spring is right around the corner!!! Have a blessed weekend! Gig 'em and God bless! My swung in Target the other day too, but unfortunately all the St. Patrick's Day stuff was picked over :( I wanted to pick up a shirt for Xavier, but no such luck. Oh well! 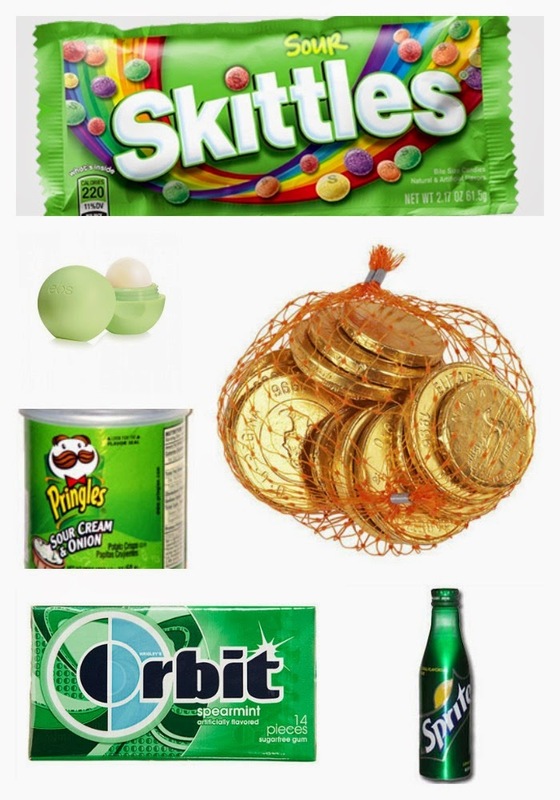 Bummer about the St. Patrick's Day goodies! Thankfully we have two Targets near - it's crazy - one will have absolutely nothing and the other one will have stuff I've never seen in the other one! Oh, yes, I consider myself lucky to have Shelly as a friend. We met in a prenatal water aerobics class over 13 years ago! Thanks for checking out my link up! Let me know if I don't do something right or you see something I can change/make better, etc! Have a wonderful weekend!!! That picture of us taking the selfie kills me....so darn funny!!! I'm super jealous of your "free" weekend friend....I will be knee deep in blankets, handwarmers and hot chocolate trying to enjoy a little baseball. Great to "meet" you from #GrowingCirclesHop! I'm so glad you joined us. Even though our hop is a little different, I hopped on over to your blog too, so that I could follow. Thanks, Kim! I'll send you an email as a reminder! :) It was fun "meeting" you too! Thanks to you, I made the leap to join Google+! I look forward to learning more in the coming weeks from all your great posts! Thanks! Thanks for coming over and visiting my blog! I really appreciate it! Stopping by from the linkup. Target is my favorite! I can't get out of that store without spending a fortune! Hope you guys got lots done on your bathroom floor! Have a super week! I'm with you on being ready for Spring! Thanks for linking up to Awesome Life Friday! Absolutely! Thank you guys for hosting! See you Friday!